Let's make This Holi Thoda Aur Stylish!!!! Holi is the festival of colours & happiness. People celebrate Holi with great enthusiasm. People visit friends and families to spray colored water on them. People roam on streets and throw colored water balloons on others. Some people that don’t wish to get wet play with dry colors solely. 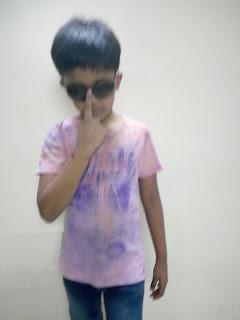 My son Hetarth G. Shah, also love playing holi. 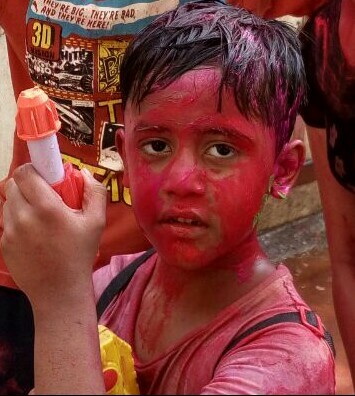 He starts playing a week ago with water balloons and pichkari. 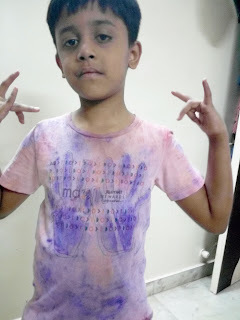 He has got ready to play holi. He always wear white colour t-shirts with shorts. This time he has styled himself in the same manner as always. Just have a glance my son playing holi. He is in his own sweet mood. He is coloured in all possible colours and he is wet with the colourful water. Due to which the white t-shirts is now got multicoloured and hand printed. 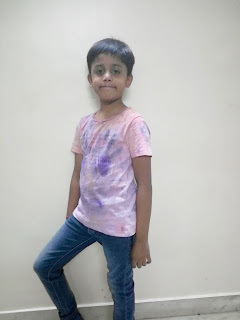 The t-shirts which my son selected, after playing holi, I will - reinvent them to a adorn a totally wacky and a fashionable look. I have styled the same multicoloured t-shirts in different ways. 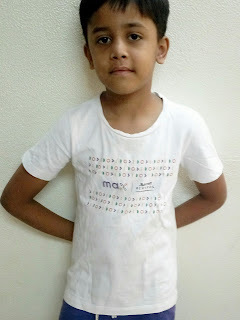 And made it the signature style of my son. 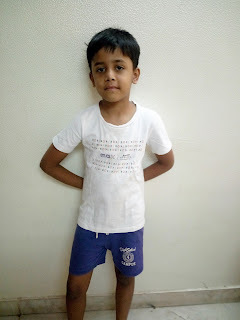 My son actually styles himself the way he likes. Some of the styles are suggested by him.#fREANKINbLOODYbRILLINANT the really look is ! Thanks to fbb to innovate such a beautiful idea. He is rock star Jigna! Your son looks super cute Jigna! Full of swag! Love all the looks on him! He totally rocks the last look! My lovely boy. 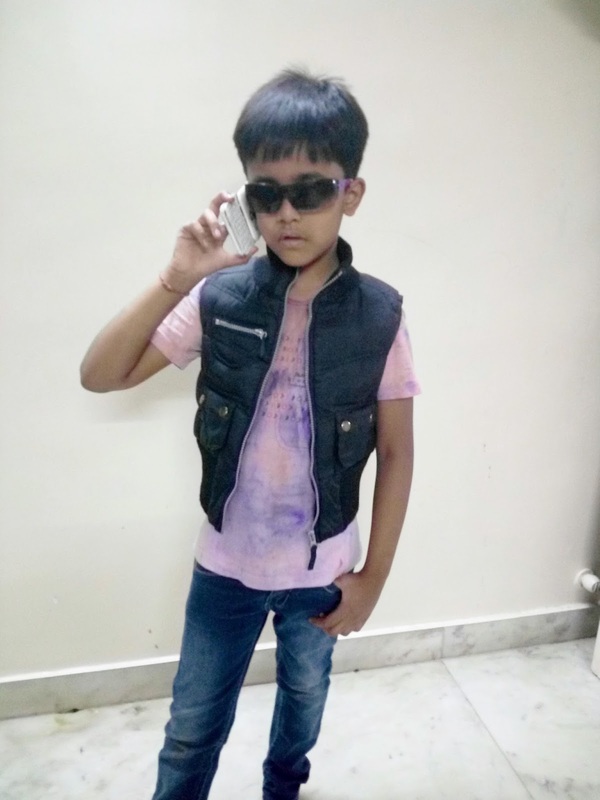 Style bhai.... A real Hero panti. Love you sweety pie. Wow Jigna!!! Really cool looks! Hetarth as a Rock Star. Are we raising our kids to be adult babies? Five Holi-Related Skin and Hair Queries.